KODAK announced it will showcase its line of instant-print photography products, digital film scanners, mini projectors, and more at CES 2019. This includes the KODAK SCANZA Digital Scanner, the KODAK Mini Digital Film Scanner, the KODAK 35mm Slide Viewer and the KODAK Mobile Film Scanner. The KODAK SCANZA Digital Film Scanner scans and saves 35mm, 126, 110, Super 8 and 8mm film negatives and slides to a computer via SD card. It can convert film to JPG files. Film is scanned in 14/22 Megapixel resolution using convenient easy-loading film and negative adapters and inserts. With the video-out function, users can connect to a TV to showcase their images. The new KODAK Mini Digital Film Scanner can also convert film to JBG files. 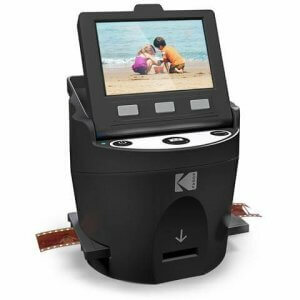 Photo memories can be stored in a modern digital format and relived at any time with the KODAK Mini Digital Film Scanner. The super-intuitive scanner allows for film negatives to be scanned, edited and saved onto an SD card. 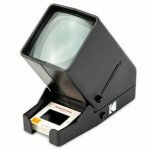 Compatible with 35, 126, 110 Super 8 and Monochrome film and slides, the Mini Digital Film Scanner comes equipped with 128MB of internal memory and a USB cable for quick and easy transfer of classic memories to a computer or laptop. With the brand new KODAK 35mm Slide Viewer, old memories are brought back to life and can be enjoyed anytime, anywhere, with a price sensitive solution for users who want to view and sort film negatives and slides before printing. Slides and negatives are placed onto the device and each are magnified up to three times their original size for crystal clear viewing. 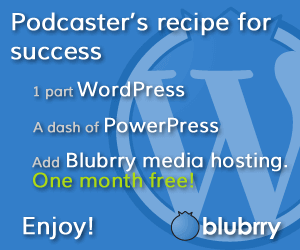 The lightweight build allows for instant portability. 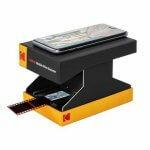 The brand new KODAK Mobile Film Scanner scans film negatives and slides onto smartphones with just one touch. Designed with a collapsible frame, the scanner can be easily carried anywhere. Turn on the device with a switch of a button, load a film negative or slide into the backlit scanner, snap a picture of it using the free companion app on your phone, and the image is instantly saved. Visit KODAK at CES 2019 in the Central Hall, Booth #16744.